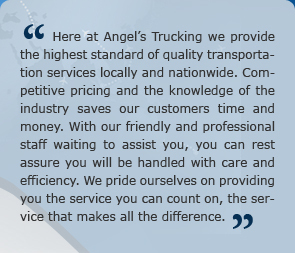 Angel’s Trucking Inc. courier division is a leader in the industry in expediting small packages all over southern California. We strive for the very best service with speedy delivery at a minimal cost. It is a personal conquest to exceed every customer’s expectations. 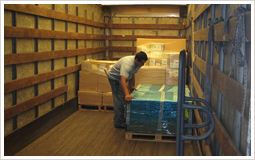 We will save you time and money as well as give you peace of mind when you tender a shipment to us. Referrals are essential in this industry and we have built our reputation on this alone. Our satisfied customers will all a test to that. 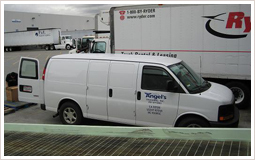 All shipments called in are continuously monitored by our dedicated team of dispatchers. 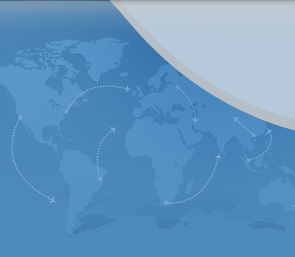 We will provide you update status and proof of delivery upon request. Shipments picked up immediately and routed nonstop to its final destination. Exclusive service is available 24 hours 365 days a year. Shipments will be picked up by 12:00 p.m. and delivered by 5:00 pm. Standard service is available during normal business hours Monday thru Friday. Shipments that requires immediate late night pick up, secure holding and delivery to its final destination by opening hours of the next business day. Shipments picked up during normal business hours (usually by 5:00 pm) of the day it is called in and delivered the next business day by 12:00 p.m.
All shipments are guaranteed to be executed on time except in the event of any unforeseen force of nature.